This post is sponsored by BUTTERFINGER®. 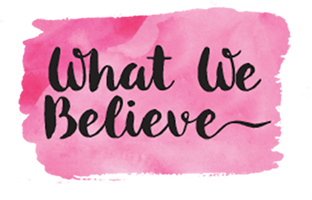 All opinions and ideas are my own. 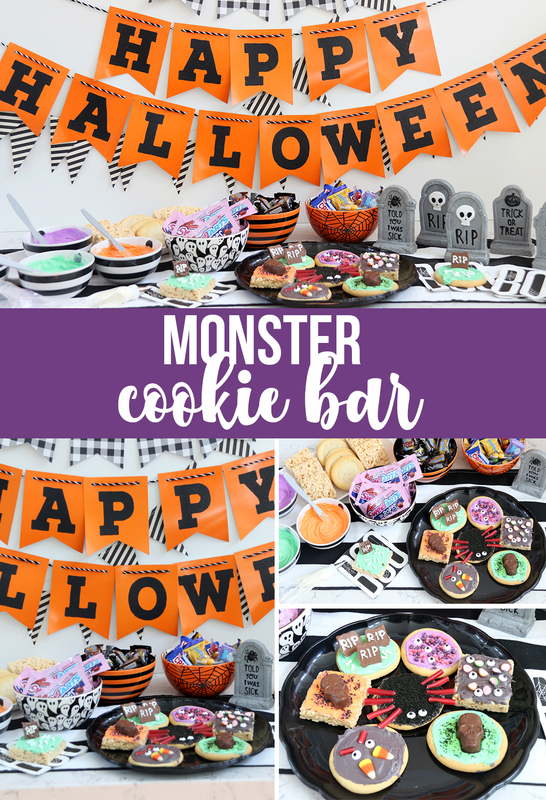 Take your Halloween Party to the next level with this super fun Monster Cookie Decorating Table. 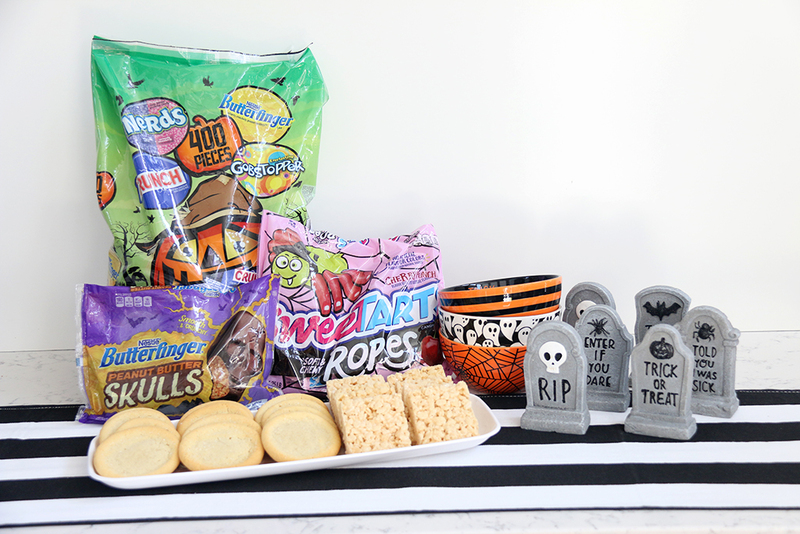 This cookie decorating station is complete with all you need to create the spookiest of cookies with yummy candies and treats from Walmart. 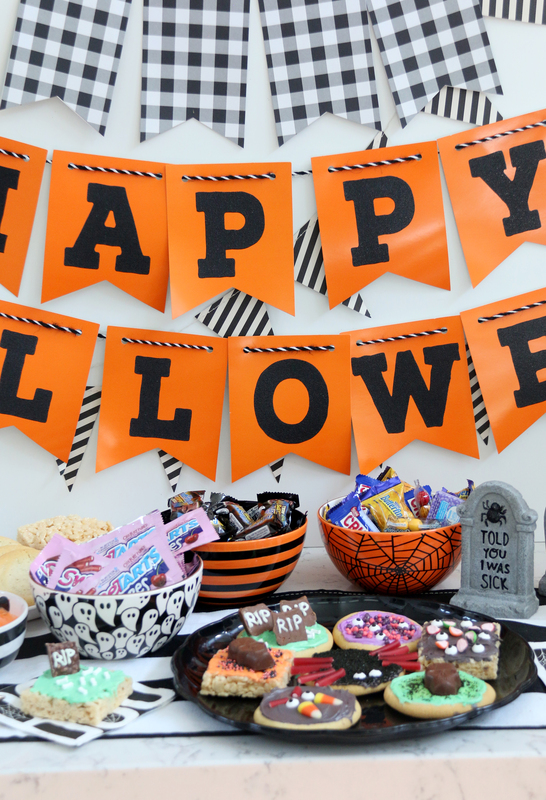 We love throwing Halloween parties. 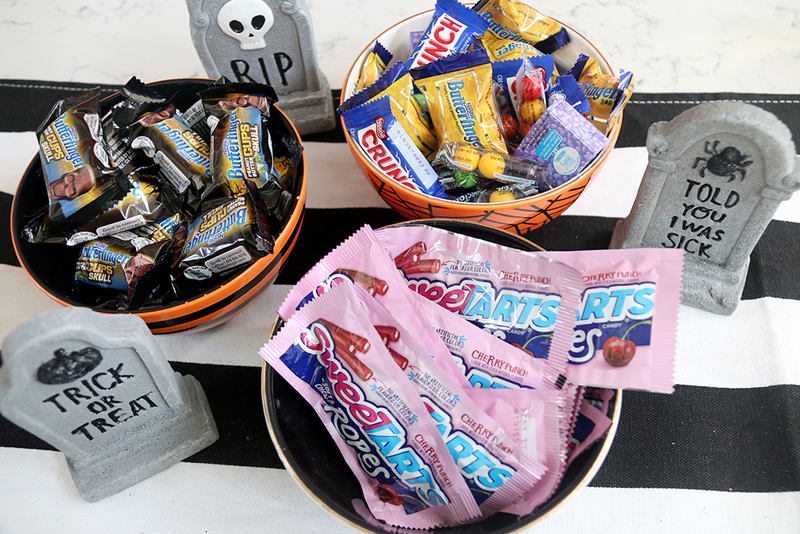 One of the best ways to keep guests, especially young ones, busy is with interactive treats. 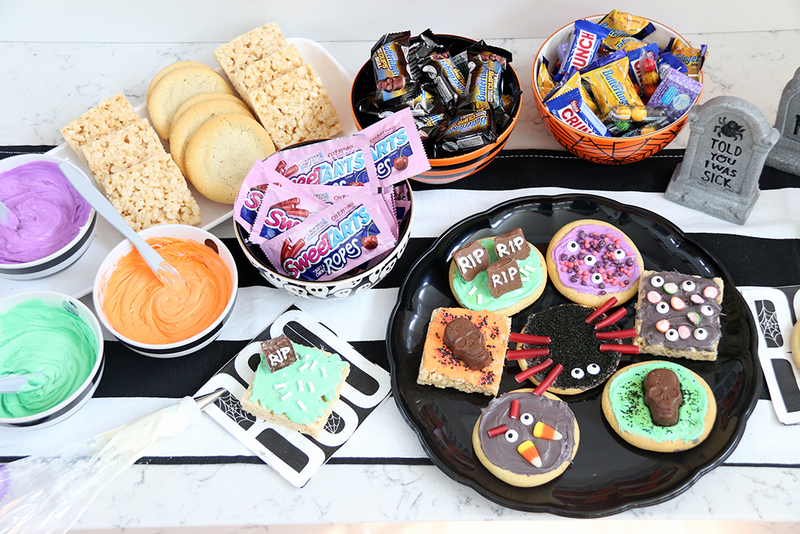 This Monster Cookie Decorating Table is the perfect activity and treat all rolled up into one. 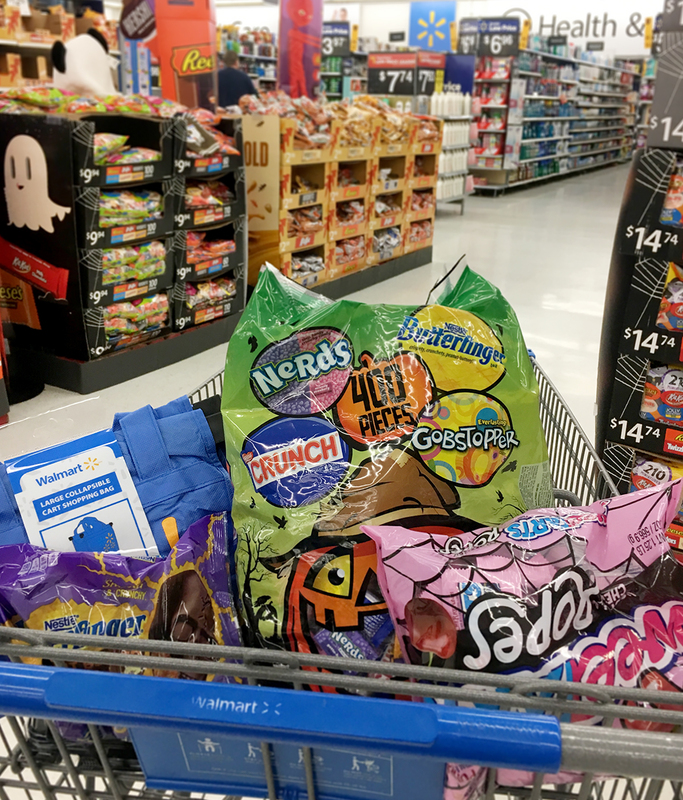 We found all of these supplies at our local Walmart. 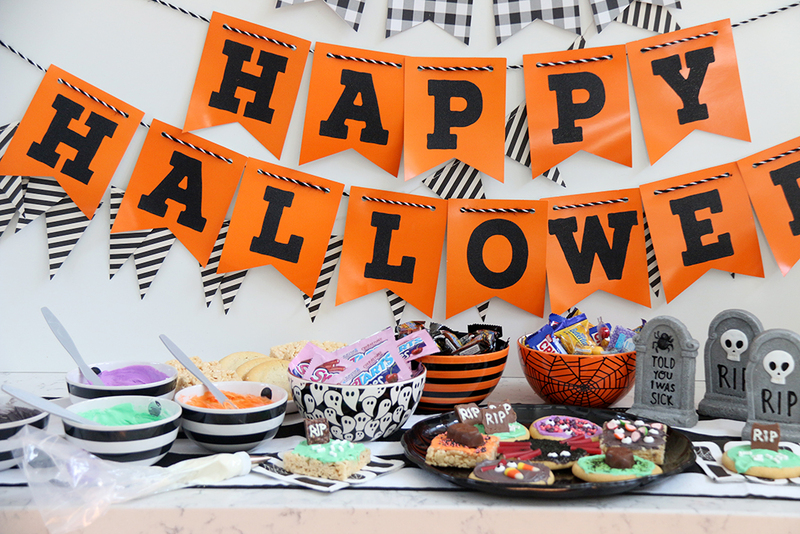 We set up our station with these adorable Halloween bowls filled with the yummy Halloween Candies and the different colors of frosting. We also had a piping bag with white frosting ready for piping. Each person was able to customize their Monster Halloween cookie to their liking. Here are some of our favorite cookies. 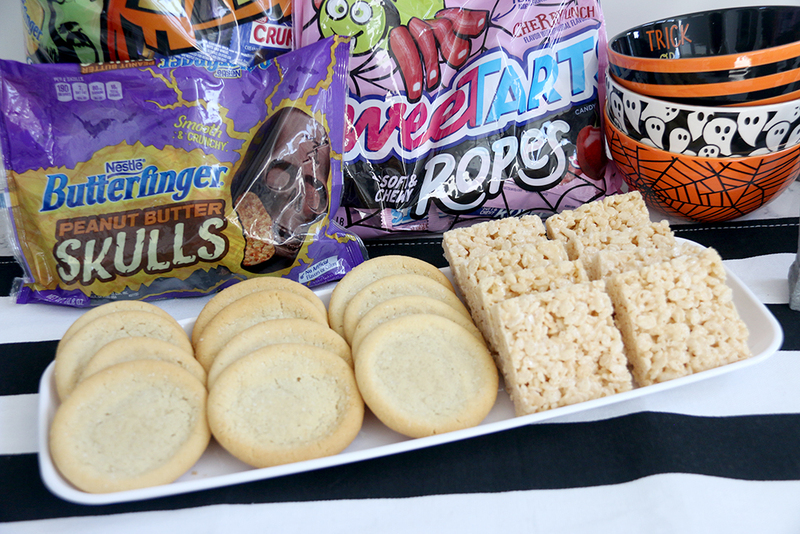 The Halloween candies and chocolates were perfect to add some fun to each cookie. Check out those smashed Gobstoppers with the edible eyes. That one might be my favorite. 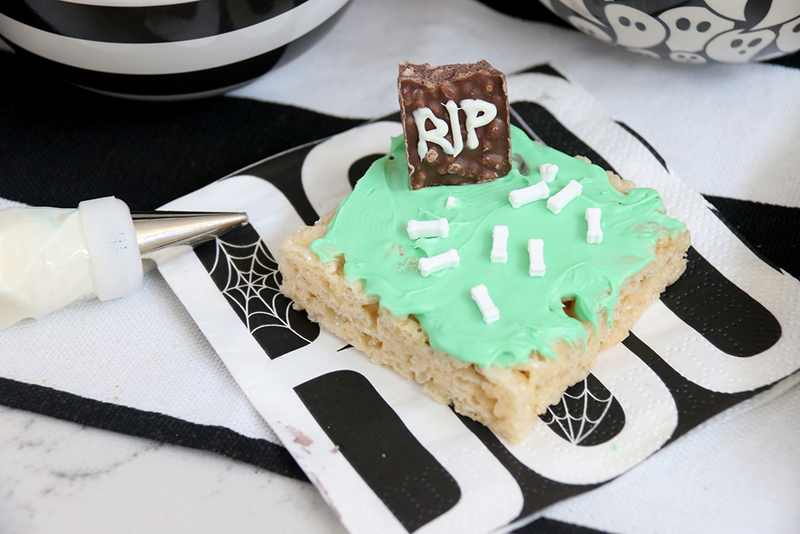 We used the mini Crunch bars as gravestones. All they needed was a little “RIP” pipped on them. Add in some sprinkle bones and it is complete. 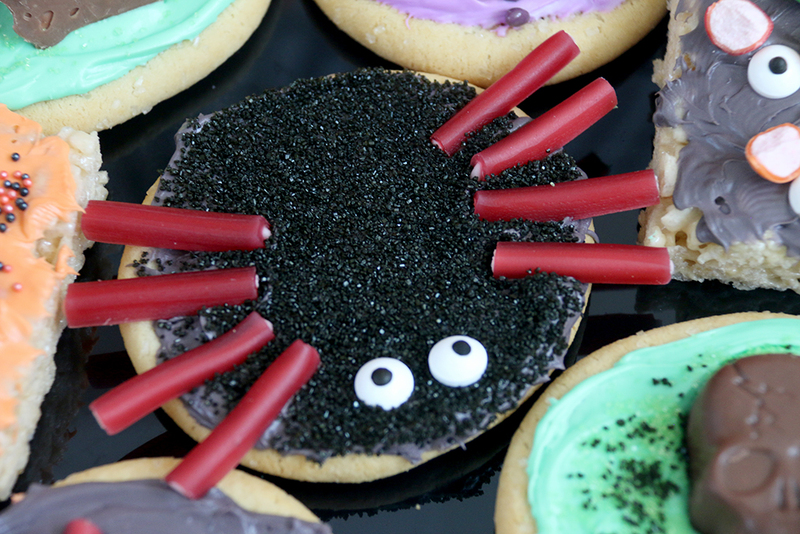 This spider cookie is just a came together easily with the use of the SweeTARTS® Ropes. And who can resist those edible eyes? 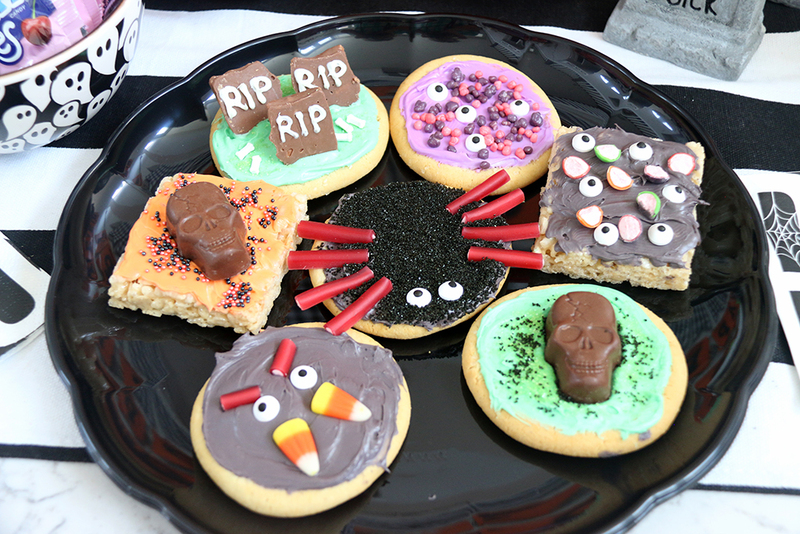 It was fun to watch everyone’s imaginations take off with the creation of different cookies with a fun Halloween theme. What kind of monster cookie would you create? The possibilities are endless and delicious. 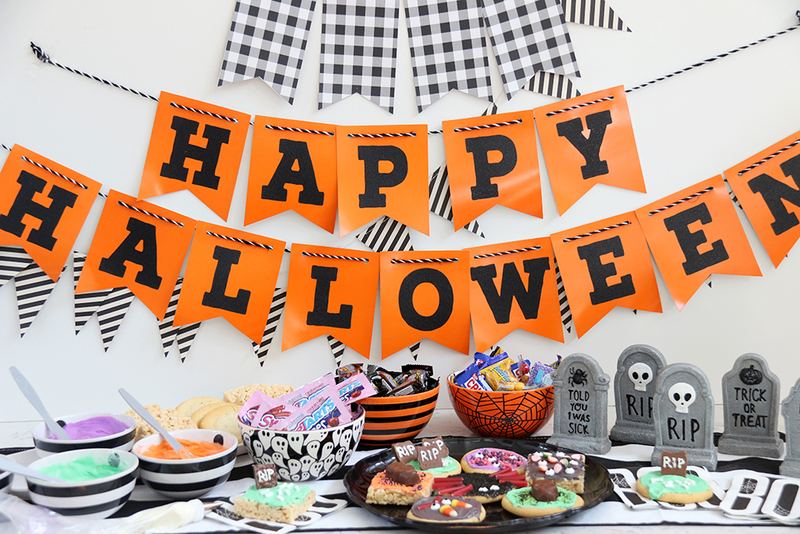 Where did you get your cute Halloween banner from?